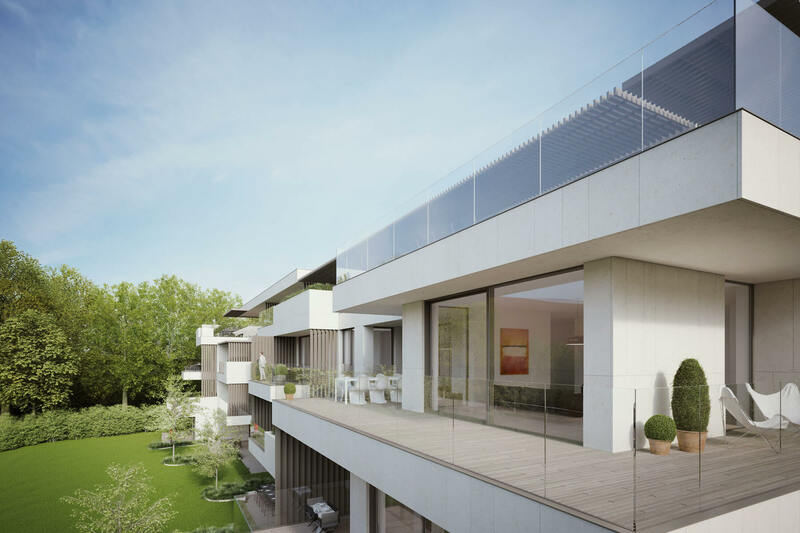 Greenhill Park is a very exclusive new-built project in beautiful Sint-Pieters-Woluwe, nestled in the lush greenery of a secluded park on Tervuren Avenue. This pinnacle of etiquette consists of 2 timeless apartment villas, with a total of 31 luxury apartments. A harmonious and environmentally-friendly entity, in harmony with nature, at the edge of the woods and Woluwe Park. An exceptional place with an abundance of tranquillity, elegance, light and comfort. Because Greenhill Park is the reference in luxury real estate, everything has been thought through in detail. Each apartment offers a marvellous view of the delightful garden, while inside you enjoy a unique penthouse feeling. 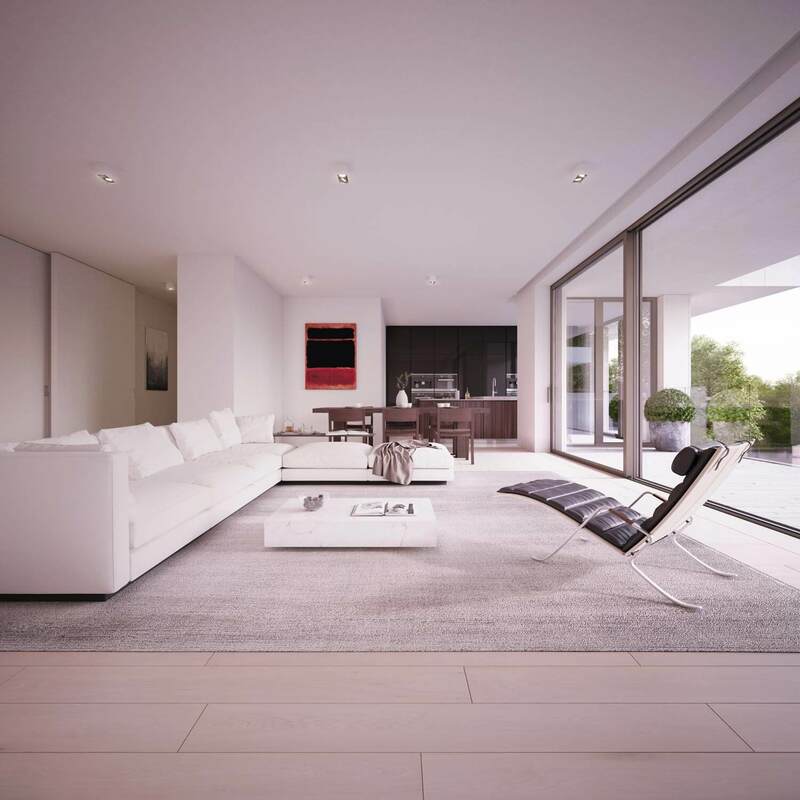 Large spaces with underfloor heating, doors that reach up to the high ceilings, the finest materials, endless finishing possibilities ... for discerning individuals who like things grand! This uncommon architectural gem is a creation of the Brussels architect firm ARCHI 2000, whose trend-setting projects grace the entire capital. In Greenhill Park, they have conceived and designed in minute detail everything that complements an exclusive lifestyle − using durable, elegant and exquisite materials of the highest quality. After extensive study and reflection, they have succeeded in creating something very unique that is striking in its perfection. 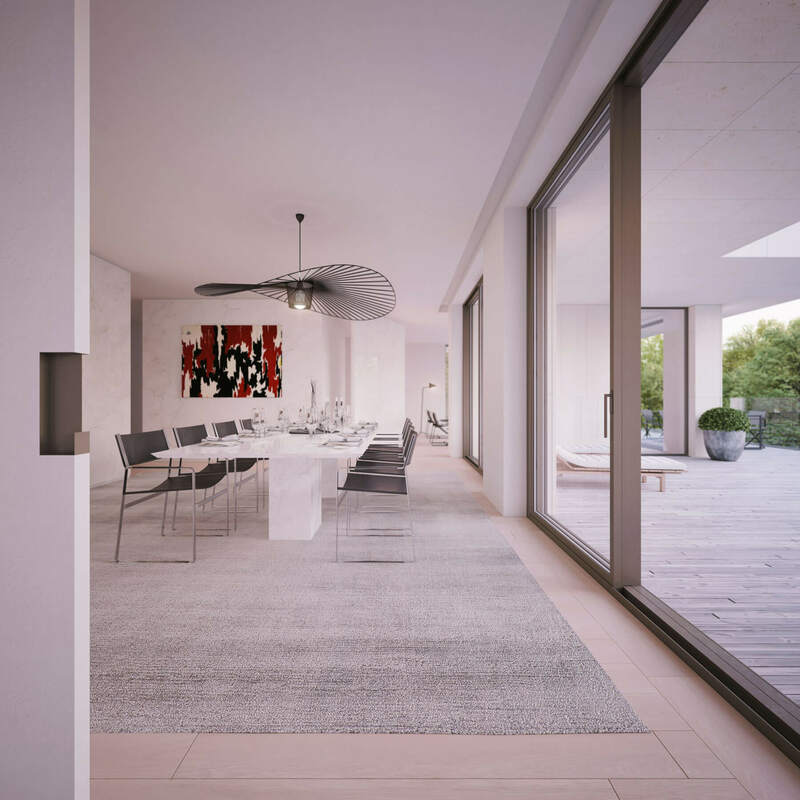 In Greenhill Park, you will be surrounded by intelligent home electronics, bathed in light and space, and enjoying total privacy, thanks to the ingenious placement of the exclusive apartments in this small-scale project. Great example of natural talent. Natural, sustainable and energy-efficient are the key themes guiding this project. The old plane trees, chestnut trees and maples, and the exquisite silver linden come completely into their own, thanks to the clean lines of the architecture − complemented by the simplicity of the polished concrete and warm wood in your interior and on your terrace. Even the exterior lighting fits perfectly within the flora and fauna. In Greenhill Park, you are simply dazzled by beauty and by the starry sky displayed in the evening. Abundance and luxuriance. Spilling over into your lavish garden. In this unique park, the numerous plants provide tranquillity and privacy. Solid evergreens in combination with solitary tree shrubs, add texture and colour. Marvellous yew hedges − more than 6 metres high − and the varied clusters of trees create the special identity of this rolling countryside garden. The footpath in dolomite pebbles leads you along through this picturesque scene. And you can enjoy it for hours from the lovely benches. Via high-quality pavements, in harmony with the various venerable walls in Gobertange stone, you soon reach your luxury apartment.